By: Clark, Gen. Wesley K.
Former Supreme Allied Commander, Europe, and CNN military analyst General Wesley K. Clark on the military lessons learned from the war in Afghanistan, the decisive victory in Iraq, the continuing war on terrorism, and the political implications for America's role in the world. 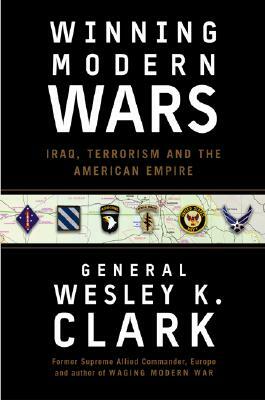 Author Name: Clark, Gen. Wesley K.
Description: 218 pp., index. New, lightly read. Slight edgewear to dust jacket. No markings. Marketing materials laid in. Published just before his Democratic candidacy in the 2004 presidential campaign, Gen. Clark weighs in with a critique of the Bush administration's Iraq campaign (written as of Sept. 2003). He is not surprised by the quick American victory on the battlefield, but notes the war is far from won with the civilian population, and is distracting America from the more critical "war against terrorists, i.e. Al Qaeda. Rear of dust jacket has a color portrait of Clark in civilian garb. In retrospect, his analysis seems very much on target as of late 2008. Keywords: WAR. TERRORISM. IRAQ. MILITARY OCCUPATION. INSURGENCY. BUSH ADMINISTRATION.